Naspers [JSE:NPN] plans to carve out its internet businesses, including a $133bn stake in China’s Tencent Holdings, that has long exceeded the South African technology investor’s own market value. The listing, meant to attract international investors, is part of Chief Executive Officer Bob Van Dijk’s effort to reduce the gap between the Cape Town-based company’s market value of about R1.41trn and its Tencent stake. Naspers has been considering listings other than its primary one in Johannesburg, which some investors have encouraged. Naspers, Africa’s largest company, accounts for about 25% of the Johannesburg Stock Exchange’s weighting, and has seen its value ebb and flow with the holding limits of South African institutional investors and emerging market sentiment. The listing is a “judicious move to a larger pool of capital,” John Davies, an analyst at Bloomberg Intelligence, wrote in a note. 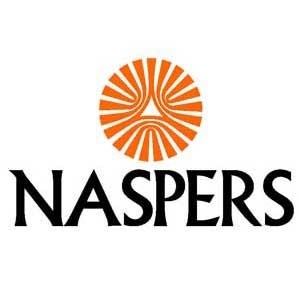 Naspers still needs to demonstrate a track record of investment success, Davies said. Naspers got its start just over a century ago as a newspaper publisher focused on providing the first Afrikaans-language press. The company has since evolved into one of the world’s biggest tech investors. Its executives are based largely in the Netherlands and travel extensively, as they seek to replicate the Tencent bet. Van Dijk said he chose Amsterdam partly because it’s a “great place to attract talent.” The listing requirements are very similar to the JSE and the company can keep the same management and board. Its tech unit will be the largest internet investment company on the Euronext and the third-largest overall, he said. Van Dijk this month spun out the company’s pay-TV company MultiChoice, to focus Naspers entirely on consumer internet businesses. * A previous Bloomberg headline for the article read 'Naspers to spin off internet businesses in Amsterdam listing'. This has been changed to reflect that the new company will not be spun off. This article was updated at 12:47 on March 25.